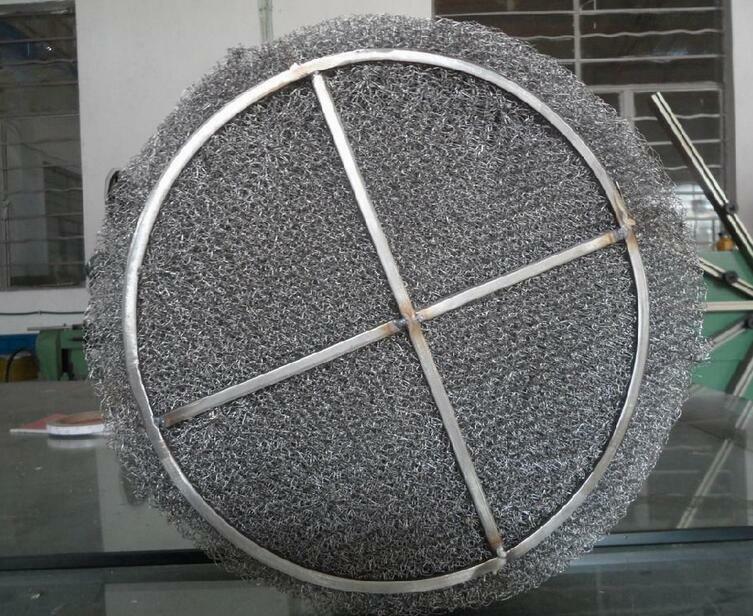 Product categories of Demister, we are specialized manufacturers from China, Demister Pads, Demister Mesh suppliers/factory, wholesale high-quality products of Demister Wire Mesh R & D and manufacturing, we have the perfect after-sales service and technical support. Look forward to your cooperation! Demister (also is known as mist eliminator, Demister Pads) is a highly efficient gas-liquid separation device. a.no need to enter into tower to clean, repair, or replace. d.Blind plate can be installed to meet low load operation, increasing adaptability and application range. a.Gas and liquid has their each path, avoiding re-entrainment and increasing efficiency. c.One layer V type demister can work with same performance of 2 layers common demister, saving installation space and cost. 316L, NS-80, or F46,PP materials can be used according to customer condition.